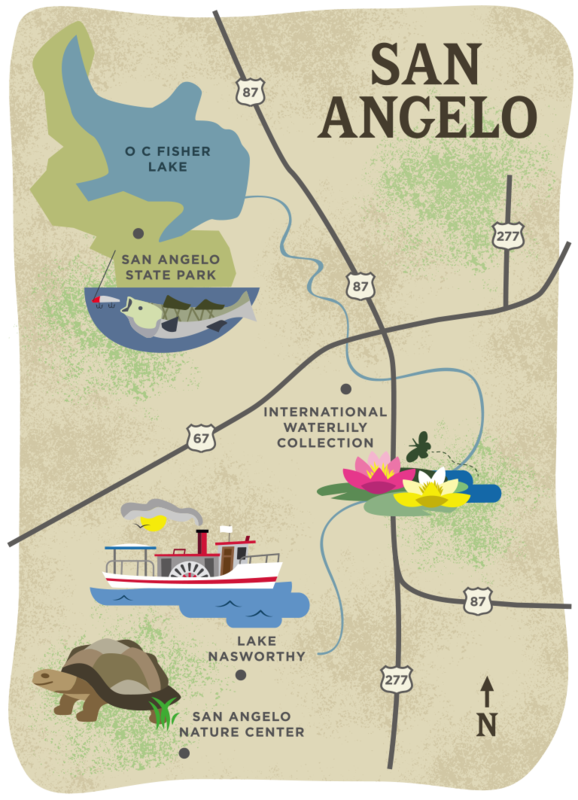 Hold on — I’m getting ahead of myself in this travelogue on San Angelo. First things first. 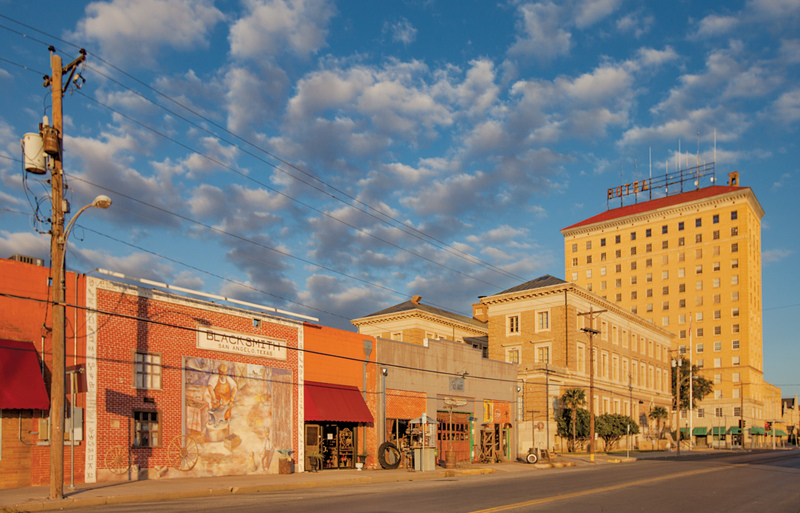 Seasoned travelers know that this West Texas city boasts much to see and do. Frontier re-enactments at the Fort Concho National Historic Landmark. Downtown shopping along Concho Avenue. Funky ceramics at the Chicken Farm Art Center. Priceless artwork at the San Angelo Museum of Art. Aquatic beauty at the International Waterlily Collection. Lights galore at the annual Concho Christmas Celebration. But San Angelo harbors other intriguing places, too, including the passionate people who keep them going. Like Selina McSherry, coordinator of the city’s San Angelo Nature Center. 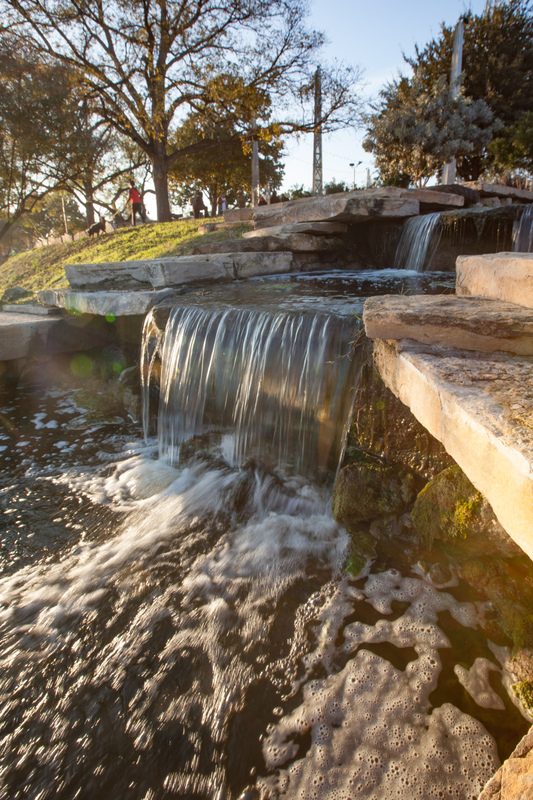 She’s sharing her favorite outdoorsy spots in San Angelo with us. Number one, of course, is the nature center. Approximately 126 rescued and rehabbed animals — both native and international — reside at the small facility, which overlooks Lake Nasworthy. Larger outdoor enclosures house a pair of bobcats along with a porcupine, gray fox, jackrabbit and raccoon. Turtles and tortoises amble on the ground in open-air pens while an African spurred tortoise has free rein of the fenced yard. “We have everything from fish and arachnids to mammals and reptiles,” says McSherry, cupping a Chaco golden knee tarantula in her hand. She holds out an albino rat snake to a squeamish little boy. He touches it with one finger, then bolts. Four miles west of the center finds us at the San Angelo Nature Trail and Wildlife Preserve. Nearly a mile long, the red dirt path cuts through mesquite, prickly pear and beebrush. We pause to inspect a yellow garden spider hanging on her zigzag web. Darkling beetles skitter past our feet. Red harvester ants swarm from a hole. McSherry, who as a girl growing up in Eldorado collected critters in her mother’s Tupperware, picks up a snake skin. 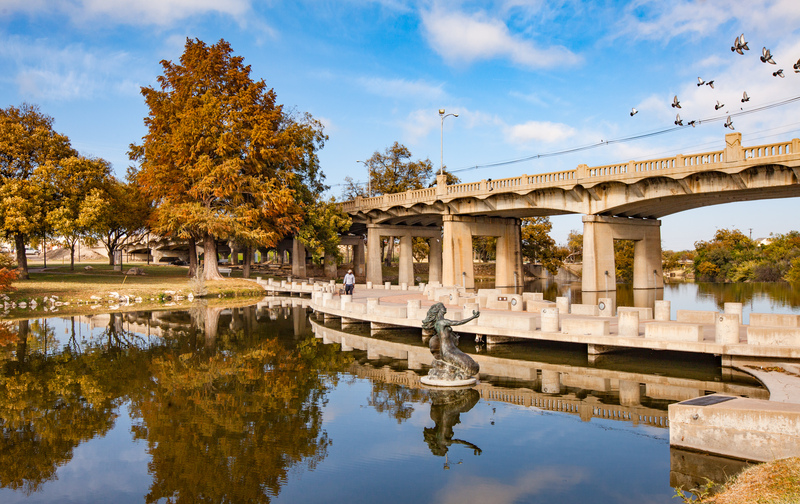 At noon, we’re downtown, eating sandwiches beneath a towering pecan on the Concho River Walk. 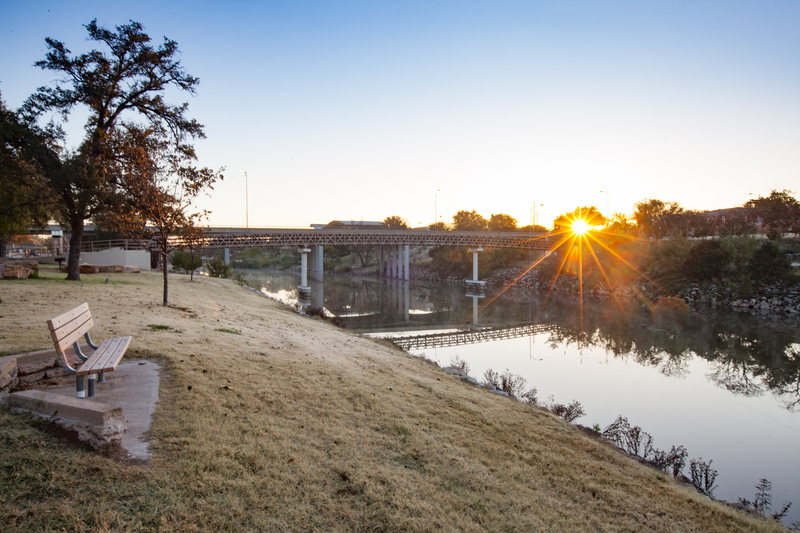 The wide brick-and-concrete path meanders alongside the Middle Concho River for 4 miles. On our quick stroll, we pass grassy slopes, rock terraced gardens and splashing water features. “Under the bridges, you can almost always find art,” McSherry says as we walk beneath Chadbourne Street. A tree mosaic spreads across one side of the bridge’s concrete walled supports. Another wall showcases eight door-sized artworks. More than 100 other whimsical creations on the walkway and across the city are sponsored by the nonprofit Art in Uncommon Places. 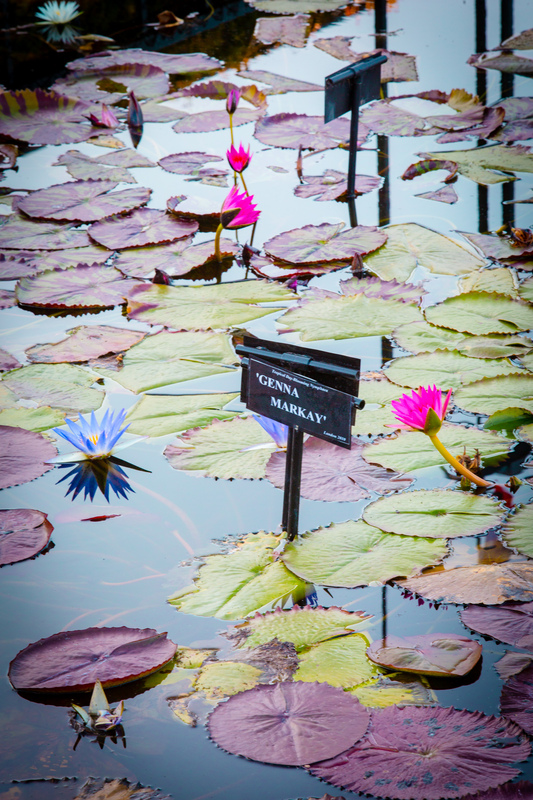 Next on McSherry’s must-see list is the aforementioned International Waterlily Collection in Civic League Park. Brick walkways slope down to the watery oasis of raised concrete pools, encased within iron fences. Bees and dragonflies flit among the floating heart-shaped pads and pastel blooms of violet, pink, blue, white and yellow. By chance we meet up with Kenneth Landon, the waterlily wizard who’s nurtured the water gardens since 1988. That’s when he and his team of volunteers turned a mucky pool into a waterlily collection that soon gained international fame. Five more pools were later added to display a wee fraction of Landon’s personal collection of hardy, tropical, hybrid and giant waterlilies. His passion for waterlilies has spurred him to travel globally in search of nearly extinct specimens. Indeed, the collection houses the world’s last Nymphaea capensis var. zanzibariensis, long gone from its native island of Zanzibar. 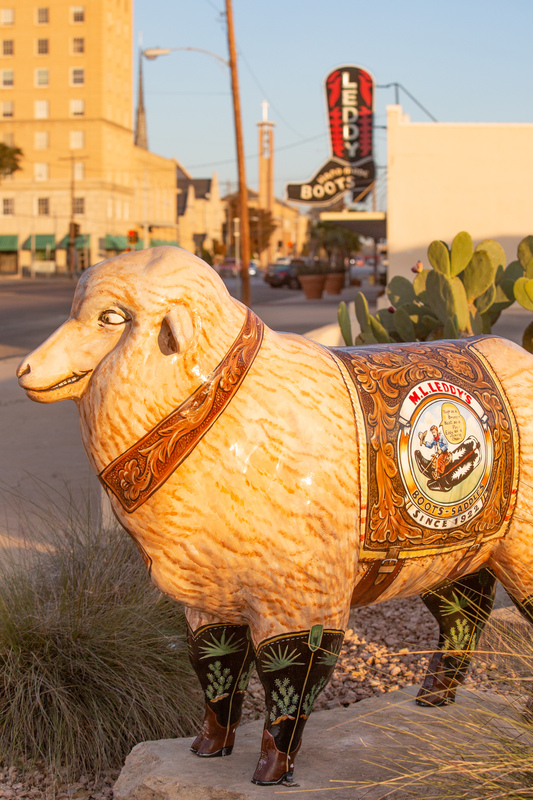 Local artists decorated sheep statues for businesses around town. Landon has propagated hundreds of hybrids, many of which he names for family, friends and colleagues. His butter-colored Texas Dawn was designated as the official state waterlily in 2011. Rhonda Kay, a purple star lily named for his sisters, sells worldwide. Ineta Ruth, named for his mother, is the only known yellow star lily. “They said I couldn’t make a yellow one, but I did,” Landon says. Next up on our checklist: a cruise aboard the Tule Princess, a steamboat launched in 1984. Captain Mack H. Fox, an elementary school music teacher and San Angelo native, purchased the steam-powered, side-paddlewheel vessel in 2014. He and his crew run excursions and private charters March through November on Lake Nasworthy and the Middle Concho River. Our evening voyage departs from Spring Creek Park. A rhythmic hiss puffs from the engine as we chug along at nearly 5 miles per hour. Fox blows the steam whistle as we pass a mother and child at a boat launch. Both wave. “Everybody loves to hear that,” he says. Later in our trip, something slithers atop the water. “There’s a resident water snake,” Fox announces on his microphone. The boat tilts slightly as passengers, seated on benches beneath a blue canopy, move to one side to see. We pass banks thick with mesquites, lakeside homes and private docks; we see great blue herons, a swath of waterlilies and the skeletal remains of a railroad trestle. The sun slips behind the silhouetted trees as the steamboat paddles back to dock. Around us, hundreds of swallows and grackles swoop over the lake. Behind the wheel, Fox’s eyes tear up as he talks about the Tule. Our final destination lands us in that pickup with driver Bill Guffey, who started in 1995 as a ranger at San Angelo State Park. We haven’t yet encountered the shaggy crowd. First, Guffey drives us around to see highlights at the 7,600-acre park that hugs the O.C. Fisher Reservoir. Our four-hour jaunt packs in what it’d take days to see on foot. Meanwhile, aboard the Goat, Guffey’s nickname for his state pickup, we bump along old roads, dry gulches and wide trails. He takes us to glimpse Bell’s Point, a scrubby crest that overlooks a mesquite-covered plain. Fossilized animal tracks from the Permian Age can be seen in a creek bed called Little Foot Draw. Past a last gate, the Goat stops and the shaggy bison surround us. Soon a dozen Texas longhorns — part of the state’s official longhorn herd — show up behind a nearby barbed-wire fence. As herd ranger, Guffey takes care of the bison and TPWD’s longhorn herds. 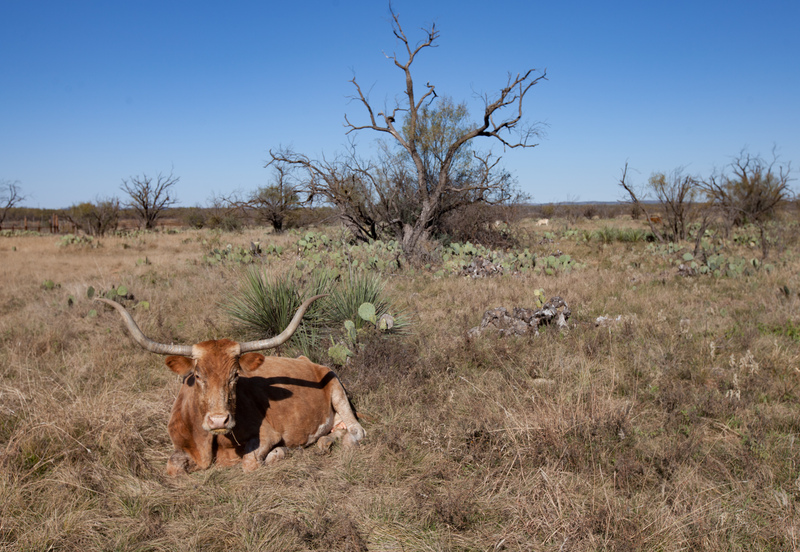 At one time, more than 10 million wild longhorns, named for their long, curving horns, roamed the state. Dust kicks up behind the Goat as we pull away from the longhorns and bison. 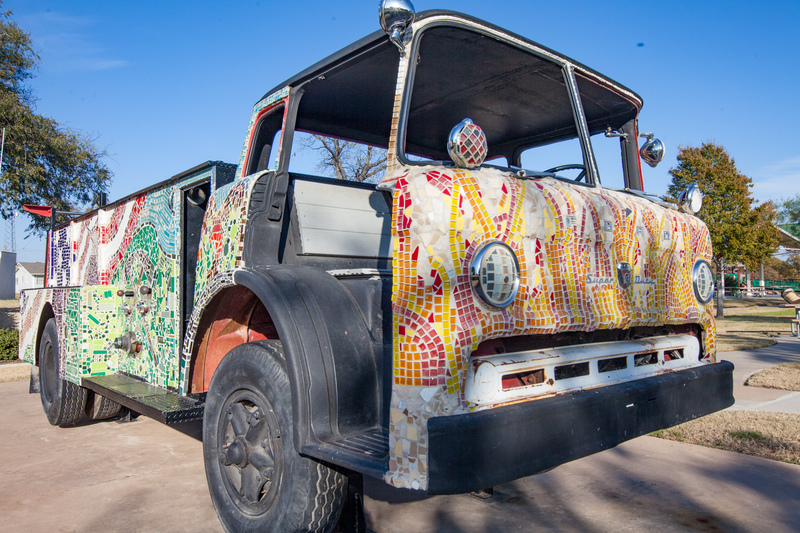 On this San Angelo trip, we’ve absorbed some nature and met people who love what they do. I’d say that’s worth a hoof stomping or two.